“We knew something wasn’t right with Chris at a young age. We went to many doctors through the years but really no definitive answers. He was slow to speak and if he did it was difficult to understand him. He would run out in front of cars or do something dangerous from the frustration of the communication barrier he had. He had terrible fits, he had digestive issues, and he had many sensory issues such as foods, clothing, sounds, and such,” Chris’ mom, Stephanie Furches explained, “Through the years he would not make eye contact with anyone, he had a lot of difficulty focusing, trouble with social skills, was very easily picked on or bullied and he stayed to himself. As parents we pushed to find help and get him early intervention. We did speech therapy, occupational therapy, early pre-school for children with special needs, IEP’s, special education classes, and such.” But nothing has been quite like the therapy quad racing has provided to Chris. 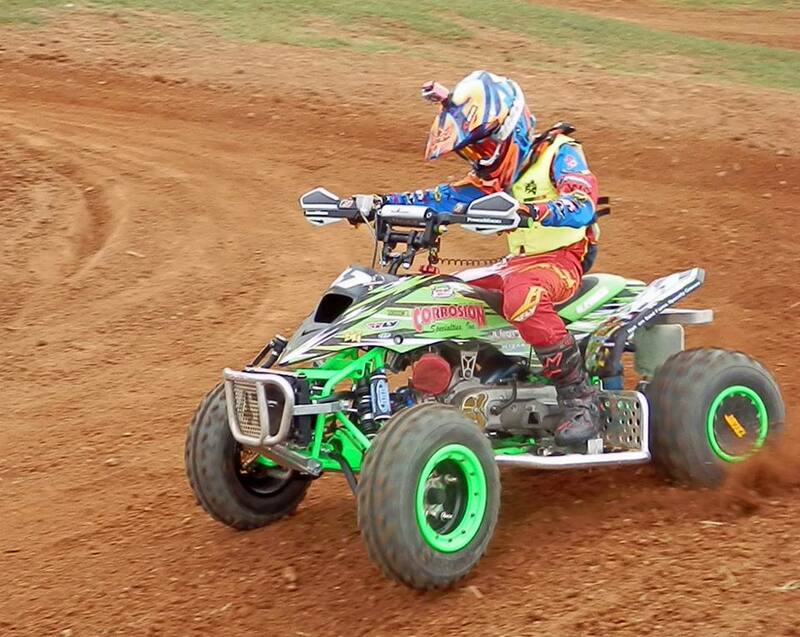 He used to be extremely sensitive to sound, wearing ear plugs or wearing his helmet to reduce the noise, even when not on his quad. Now he doesn’t need those supports. He can be at the track without needed something to reduce the noise at all times. He used to have meltdowns at the gate if something went wrong. Meltdowns that would fit a kid of a much younger age. However, he is dealing with change in routine better both on and off the track. He has overcome a sensitivity to mud, wetness, cold and heat. 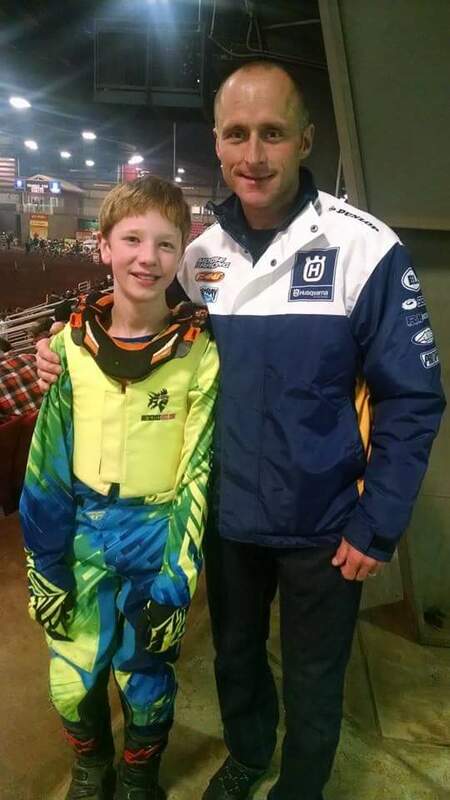 He had trouble communicating verbally and understanding verbal communication, but watching his riding on a GoPro has improved his skills both while speaking and while on the quad. He can now talk with his parents about racing instead of being shown. He has boosted his vocabulary with racing terminology. ATV racing is truly Chris’ therapy. As we mentioned before, Chris is not only a racer, but he is an accomplished racer at the beginning of what is hopefully many years of racing therapy. 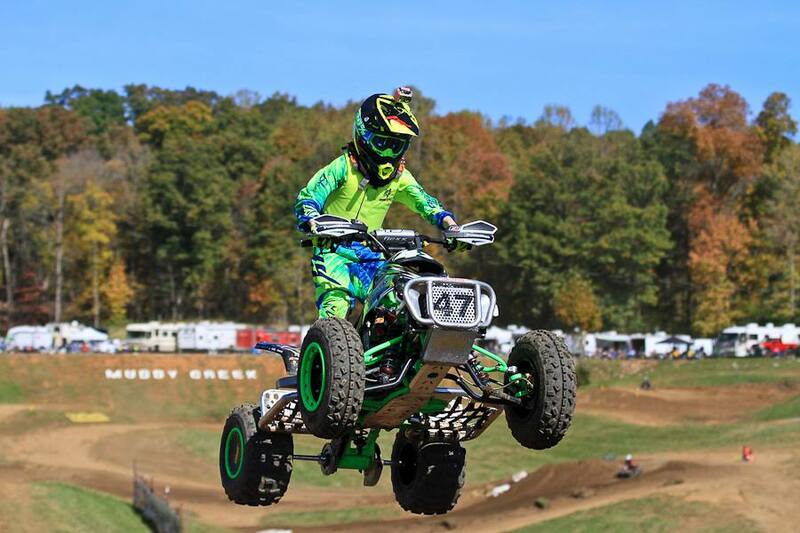 He won his first championship in 2013 and he has a total of 3 MX ATV Youth class championships. 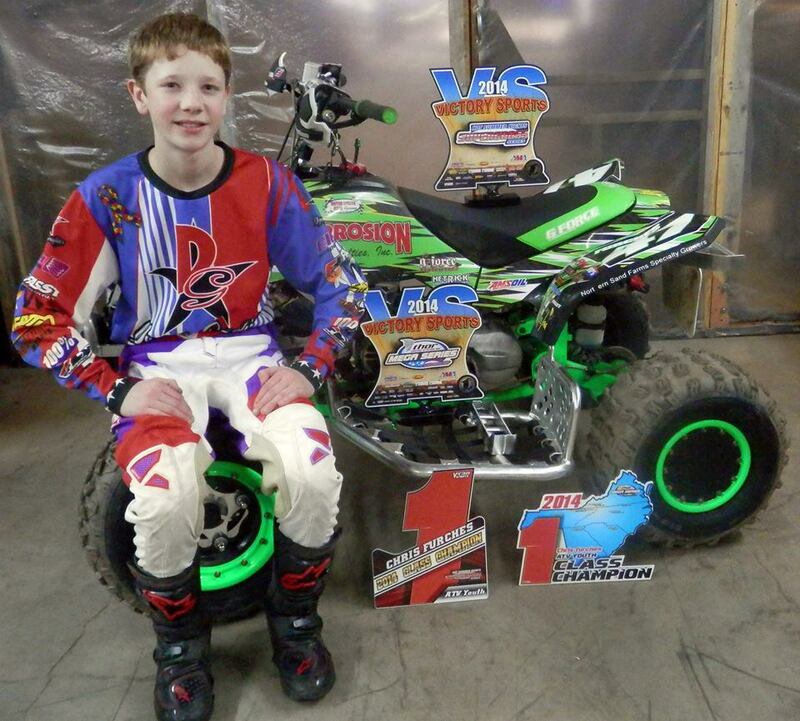 He won the 2014 Suzuki Top Gun Showdown in the ATV Youth Class and at the national level he placed 6th overall in the 90 Automatic Sr 12-15 class and 7th overall in the 90 CVT 8-15 class for 2014. This is his last year on those bikes as he will age out of those classes and move to a big bike for 2016 with sponsors and funds permitting. Chris has set a goal to get in the top 5 in 2015. 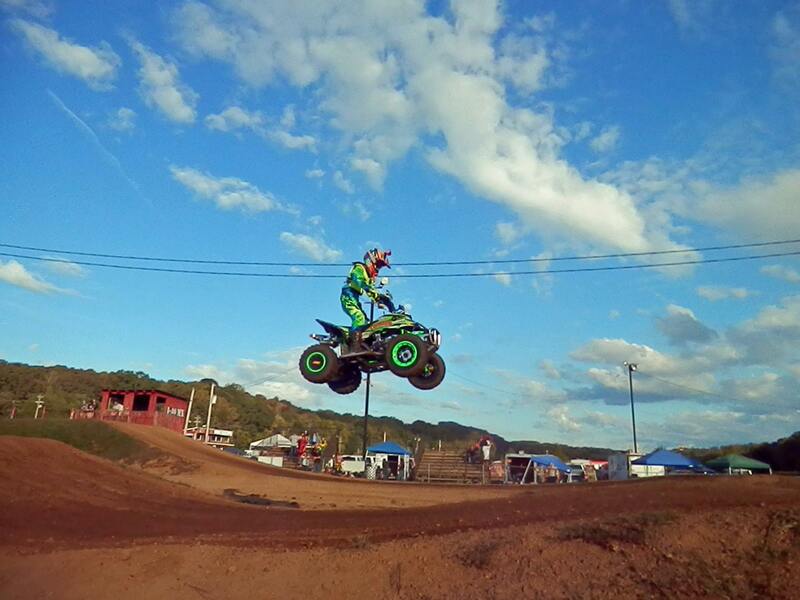 He is currently the points leader in the Indoor MX. He won it last year and his goal is to repeat. Chris has overcome so much in order to race and be successful, his mom states, “The championships are a big deal.” But even though they were hard earned for a kid who is challenged every day by things we take for granted, Chris is humble. And kind. And thoughtful. And he and his family are on a mission bigger than themselves.